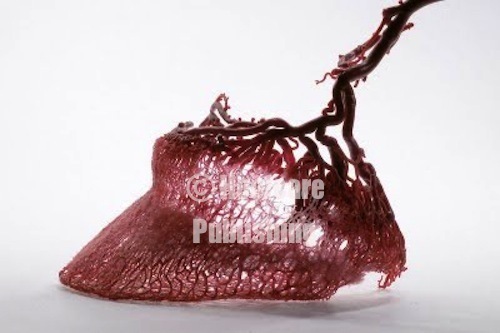 The only “sure thing” number in the horse world is that most of the horses treated for lameness have four feet. 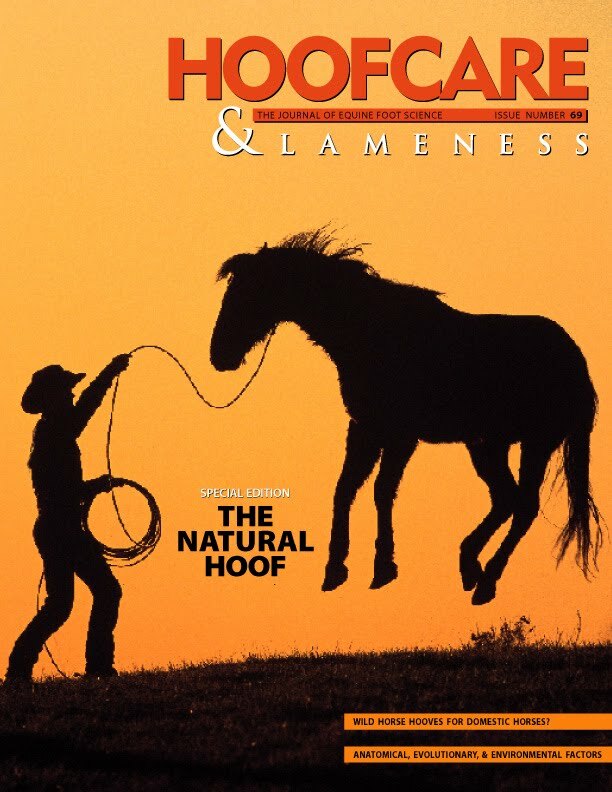 Statistics quoted in the horse world range from the antiquated to the inflated, and professionals around the world are calling for more accountability of claims quoted in sales pitches and more quantification of the numbers that are quoted. Once upon a time, someone somewhere said that 90 percent of equine lameness is in the foot, but does anyone know the original source of that quote? Would you say that is still true today? We can diagnose lameness a lot more precisely now than ever before. 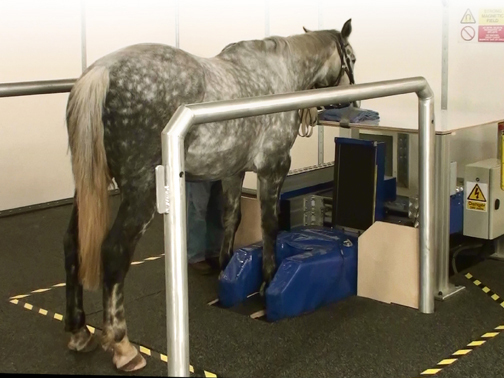 One thing we do know: Hallmarq reports that, worldwide, almost 80% of lame horses referred for MRI at equine hospitals equipped with their MRI units have a problem located in the foot. Where do you look for numbers when you need to prove a point? 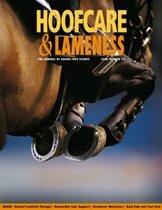 There is no “Fact Book” of equine lameness that collects statistics in one place. Instead, we all tend to trust certain authors or universities or studies. And everyone seems to have healthy skepticism for “the Internet”. But it’s not all black and white, as two recent studies pointed out. 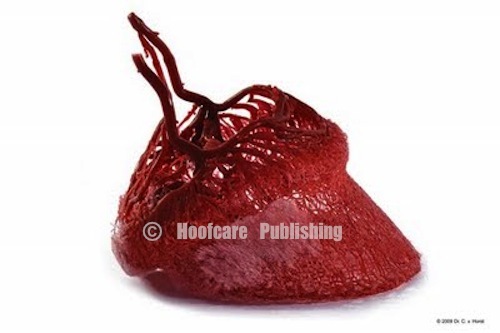 In 2004, England’s Sue Dyson FRCVS reviewed 199 foot lameness cases at the Animal Health Trust. These cases had been evaluated by magnetic resonance imaging (MRI) and her analysis of the data showed that 33 percent had deep digital flexor tendonitis and a total of 60 percent of cases had some form of abnormality of the deep digital flexor tendon (DDFT). Desmitis of a collateral ligament of the coffin joint was found on 15 percent of the MRIs; it should be noted that Dyson’s practice is heavy on referral sport horses. 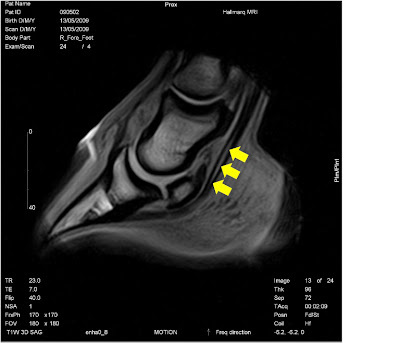 A high percentage of lame horses in both Great Britain and the United States have been found to have damage to the deep digital flexor tendon within the foot when standing MRI scans were analyzed. 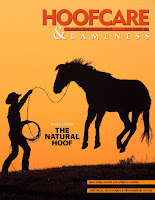 On the US side of the Atlantic, Rick Mitchell DVM of Fairfield Equine Associates in Connecticut did a similar review. He looked at the results of standing MRI in 98 American jumping and dressage horses with foot pain. 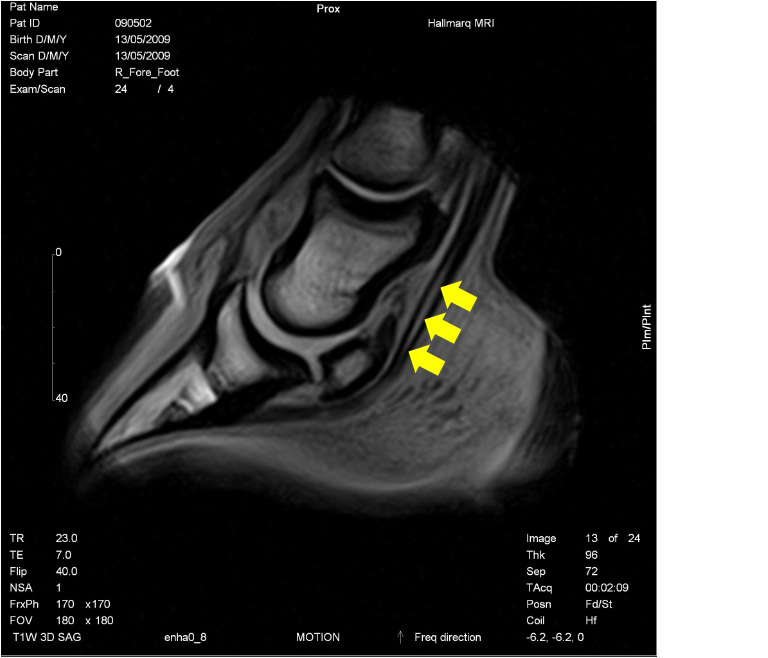 Mitchell found the most common defect in the lame American sport horses to be navicular bone lesions, which were seen in the Hallmarq MRI scans of 77 percent of the horses examined. But 64 percent of Mitchell’s horses had deep digital flexor tendon damage in the foot, as seen on their MRIs. Coffin joint collateral ligament damage was much less common in Mitchell’s group than in Dyson’s. But the glaring damage to the tendon is a critical warning sign to sport horse owners and trainers on both sides of the Atlantic. Ten years earlier, diagnosing damage to the tendon in the foot was almost impossible. Now, Dyson and Mitchell can even break down the tendon damage into types of injuries. New imaging modalities like MRI are making earlier and more precise diagnoses possible; another number we like: information gleaned from images obtained via standing MRI resulted in a diagnosis in almost 90 percent of the cases referred, according to Hallmarq's data analysis of cases. So, when you quote numbers in the equine lameness world, also mention your source, the year and the type of horses that were tallied. If the study covered a specific type of horses and if the study was conducted since the advent of diagnostic imaging like MRI, it may make your numbers mean a lot more. And someone else may end up quoting you. The largest and most accessible body of quotable statistics is the U.S. Department of Agriculture’s National Animal Health Monitoring System (NAHMS) “Equine ’98 Study”, which collected facts and figures on the health of horses on farms and ranches in 28 states. This was amended by updates in 2000 and 2005. Mitchell, Edwards, et al. Standing MRI Lesions Identified in Jumping and Dressage Horses with Lameness Isolated to the Foot, AAEP Proceedings, 2006. 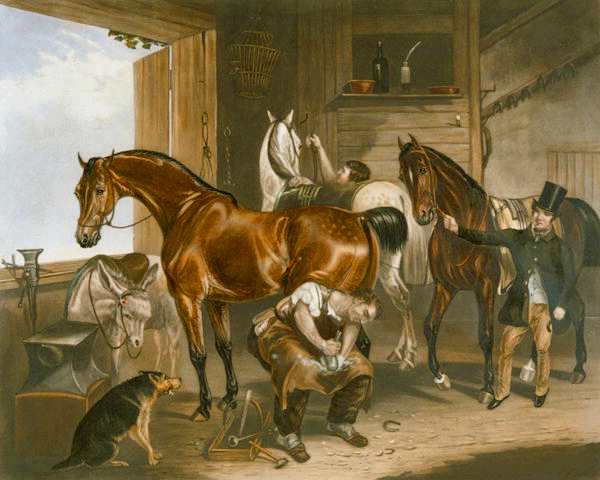 "Moore's Shoeing Scene: The Veterinarian" was painted circa 1845 and holds a place of honor on the wall here at the Hoofcare and Lameness office. It was a gift from Walt Taylor many, many years ago and I never tire of looking at all the details (especially that dog!). But anyone visiting the office has trouble with it. They admire the print but when their eye falls on the title they don't understand. "Who's the veterinarian?" they ask. "Why is the focal point character working on a hoof?" This just proves the point that the precise definition of the veterinarian's role in the horse health scenario is far from a new topic. In the last 25 years, we've seen the emergence of diversified horsecare professions that never existed before. Farriers, on the other hand, pre-date veterinarians and once treated all ailments of the horse. 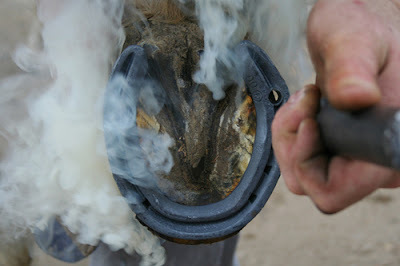 At some point, farriers in Europe and North America relinquished the care of the horse and kept the hoof as their domain. The following text is from a press release issued last week by the American Veterinary Medical Association (AVMA), which is integrally involved in state and national legislation regarding the practice of veterinary medicine and, overall, is influential in all matters related to animal care. 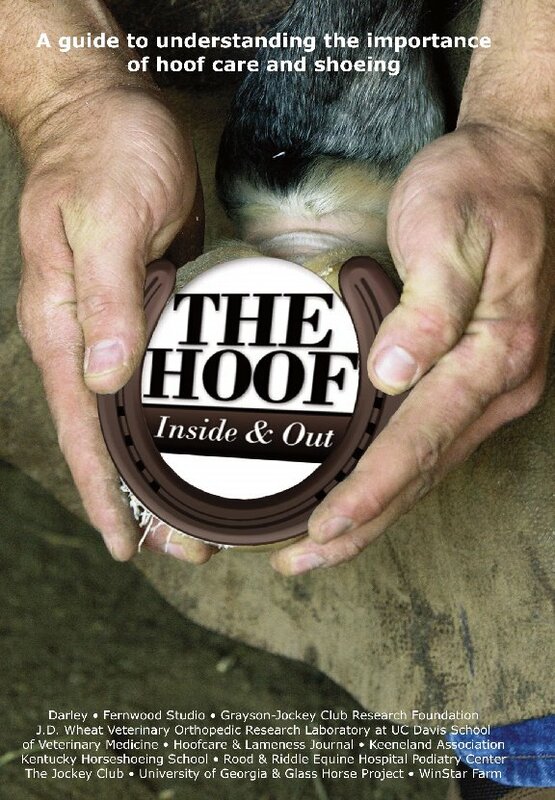 Text in bold emphasized by the Hoof Blog so it will not be overlooked by those it may affect. Do you have an idea on how animals can receive the best care from veterinarians and other members of the veterinary healthcare team? Early next year, you will have an opportunity to offer input that could help make your ideas a reality. The American Veterinary Medical Association (AVMA) is soliciting public comments on its Model Veterinary Practice Act (MVPA). The current MVPA, which was last reviewed in 2003, includes sections on definitions, veterinary medical boards, licensing, client confidentiality, veterinary education, veterinary technicians and technologists, abandoned animals, and cruelty to animals, as well as other topics. "This is an excellent opportunity for veterinarians, pet owners, the public, farmers or really anybody who cares about animals and veterinary medicine to offer input that will help guide the profession," says Dr. John Scamahorn, chair of the AVMA Model Veterinary Practice Act Task Force. "The Model Veterinary Practice Act is used by state legislatures and state veterinary licensing and exam boards to help shape the rules and laws that govern the practice of veterinary medicine." The AVMA is issuing early notice of this public input period to encourage all interested parties to get involved and give informed comments. The current MVPA is available for public review on the AVMA website, at http://www.avma.org/issues/policy/mvpa.asp. Organizations and individuals can contribute comments about the MVPA on the AVMA website during the 30-day public comment period, which is scheduled to start in January 2011. The AVMA requests that the comments submitted be specific and include suggested language for the new MVPA. "The AVMA wanted to give notice of this public comment period as early as possible because we realize that there is a lot of interest in the Model Veterinary Practice Act, which is lengthy and contains many important provisions," explains Dr. Ron DeHaven, chief executive officer of the AVMA. "We feel it is important to alert stakeholders now so they can begin to review the many provisions of the act in advance of the comment period. Some organizations may even choose to meet and discuss the act in order to come to consensus on their comments, and we wanted to encourage and allow for these discussions about the future of veterinary medicine." The first MVPA was created by the AVMA in the early 1960s. Over the years, it has been revised several times to reflect changes in the profession such as new technologies and techniques and even societal changes. Can You Explain the World War I Veteran's Hand-Forged, Mysterious Monument to His Military Service? The word "souvenir" literally means "memory". This photo is reproduced with the permission of Keith O'Brien, a descendant of Isaac. According to Keith's description, which is a little hard to understand, there is a second shoe, on the other side of the foot. When World War I ended, how did veterans commemorate their service? Surviving World War I was not easy and one can only imagine the emotions that the troops felt when they returned home. I've written a lot about farriers who served in World War I and how they took care of the horses during the war, but I honestly don't know much about what happened when they returned home to their families and forges. In north Wales, a young man named Isaac Owen came home and made himself a little icon, or a trophy or a shrine, to his service in France during World War I. Which is it? You can decide. We're looking at it almost 100 years later, and we don't know what he did with it after he forged it and put so much work into it. Did he put this out for all to see, as a trophy of pride, or did he work on it with great care and then, after polishing it to a glowing finish, did he wrap it in flannel and put it away, thus declaring it--and his experience in France--complete, and done, and get on with the rest of his life? Was this shoe found years later by his descendants, who might have wondered what it was, until they realized what the words meant? And did he make only one? Ypres, Somme, and Armentieres were three battle sites. There were actually three battles in Ypres, a city in Belgium's Flanders district. In one, it is said that half the British troop involvement of 160,000 was either killed or wounded; all in all, 400,000 troops died there. 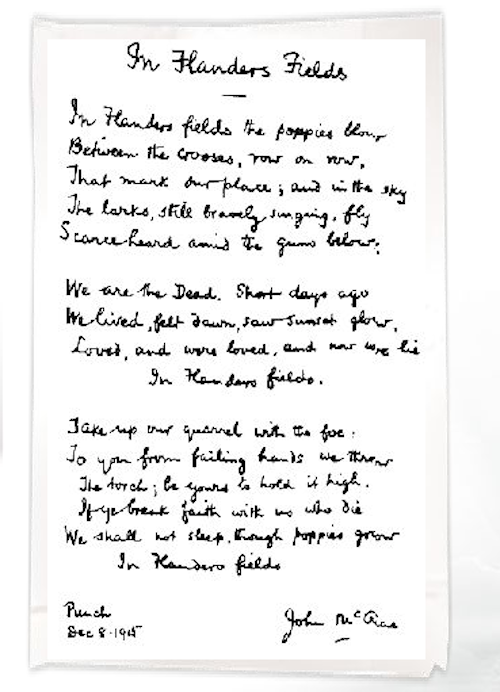 When you hear the poem that begins, "In Flanders fields..." the reference is to the huge military cemeteries outside Ypres and other Flemish battle locations. I think the web site for the Ypres battles is one of the best military history web sites you can visit on the web. "In Flanders Fields" was written by a Canadian doctor, John McCrae, who cared for the wounded at Ypres and was later killed in the war. The battle of Somme in France in 1916 lasted 4 1/2 months and had 1.5 million human casualties. I read today that 100,000 horses died at Somme, and no doubt it was Isaac's job to try to keep them going. At the end of the bloody Somme standoff, the British and French advanced a total of six miles but did not succeed in capturing any towns from the Germans. Still, the British celebrated it as a victory, of sorts, to keep up the morale of the troops. 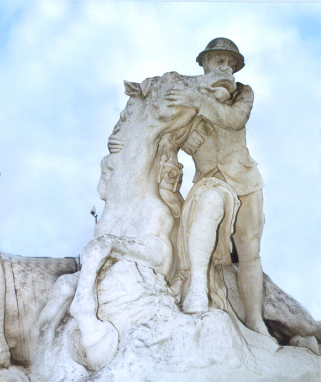 A relatively recent addition to Somme, France is the "Dying Horse Memorial", a tribute to the 100,000 horses who lost their lives in the World War I battle there. Isaac the Welsh farrier would have known their pain. Finally, Isaac was part of the British occupation of Armentieres in France. This is the Belgian border town made famous in the racy song, Mademoiselle from Armentières. The Germans shelled the city with mustard gas in 1918, and the British forces had to evacuate the city, which was so badly contaminated that the Germans couldn't enter it. 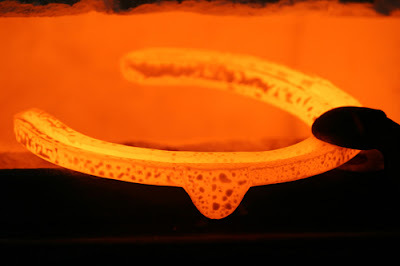 After all this--four years of the worst battles on the very front edge of the war--did Isaac just go home to Wales, take his apron off the nail, and go back to work in his father's forge? Perhaps he acted like nothing had happened at all. How intent he must have been to keep his hand steady as he stamped the letters, one by one, of those French and Belgian battle sites into the face of that shoe. 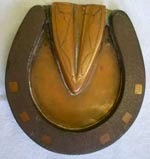 This shoe was made by a British farrier who served in France. While he was shoeing a horse, the forge was shelled and the horse was killed. The farrier brought home a piece of the shrapnel from the shell and crafted this shoe from it to commemorate his good fortune to be alive. 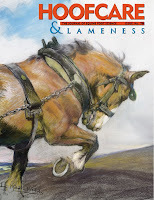 You can visit Keith O'Brien's web site diary, which explores his family's history as farriers and smiths in a tiny village in Wales. As part of a Welsh language preservation project, the family's story was published by the BBC, but Keith has shared the old photos with captions in English in a slide show. The greatest tradition in continuing professional education for farriers in the world ended last week with an announcement from Cornell University College of Veterinary Medicine. The university said that the 27th Cornell Farriers Conference, scheduled for this weekend, had been canceled. Held in the highest esteen and featuring stellar farrier and veterinarian speakers in a world-class academic environment, the conference attracted a list of the virtual "who's who" of the farrier academic world over the years while sticking to a strict education-only policy that was embraced by attendees and supported by sponsors and trade show exhibitors. A quick check of the (incomplete) files here shows the speakers over the years to have included Mark Aikens, Mike Ball, Philippe Benoit, Roy Bloom, Dan Bradley, Doug Butler, Christina Cable, Mark Caldwell, Victor Camp, Hans Castilijns, Brent Chidsey, Jacqueline Cilley, Meredith Clarke, Buster Conklin, Janet Douglas, Dave Duckett, David Farley, Gene Fletcher, Laura Florence, Don Gustafson, Chris Gregory, David Hood, Vern Hornquist, Betsy Keller, Steve Kraus, Scott Lampert, Jeffrey LaPoint, Jack Lowe, Neil Madden, Bruce Matthews, Kelly McGhee, Myron McLane, Dallas Morgan, Scott Morrison, Tia Nelson, Charley Orlando, Andrew Parks, Bob Pethick, Chris Pollitt, Haydn Price, Jeremy Rawlinson, Pat Reilly, Dave Richards, Mike Savoldi, Judith Shoemaker, Rob Sigafoos, Sigurdur Sigurdsson, Meike Van Heel, Gary Werner, and Pamela Wilkins. Over the years, I became very interested in the history of Cornell's vet school and especially the many ways that farriery (and farriers) had always been deeply integrated into the veterinary education program. I was surprised to find out that the farrier department had once even endorsed a brand of horseshoes in an ad in the Horseshoers Journal. Did you know that Cornell once was the home of fine Percheron horses? Farriery has been an integral part of Cornell's veterinary school since its inception and Cornell opened a much-heralded school to educate farriers in 1914. The opening of the school was the front page story of the Horseshoers Journal. Instructors of farriery at the vet school have been leaders of farrier education ever since, in particular professor Henry Asmus, whose work was published by the US government and distributed to horse owners and farmers all over the nation in the 1920s and 1930s. Michael Wildenstein, who led the farrier program at Cornell until August of this year, took up Asmus as a role model and built up the conference to bring in leading lecturers from all over the world. He took pride in the number of repeat attendees at the conference, who returned year after year after year, and said that these people were the best-educated farriers in America because of their exposure to the talented and generous speakers who had been part of the conferences. In the lighter-fare Saturday night programs at Cornell, farriers raised money for memorials, auctioned things off (like Professor Chris Pollitt's Australian Akubra hat), read poetry, tossed horseshoes and anvils, told stories about their mentors, played instruments and sang (among many unforgettables: a farrier opera singer, the Welsh national anthem a cappella, and three Australians who sang a "Waltzing Matilda" chorale), and there was even an Anvil Chorus karaoke one year. I don't know what I'll do this weekend. But I would like to thank Cornell for the 20 or so conferences that I attended. I can't think of any event that was so educational, where I learned so much, felt so welcomed, or looked forward to so much. I will especially remember using the incredible Flower Sprecher Library at the vet school, and walking through the rows of shelves, finding farriers on their hands and knees reading books (old and new), or making copies of pages of books, or using computers to find articles and search databases. 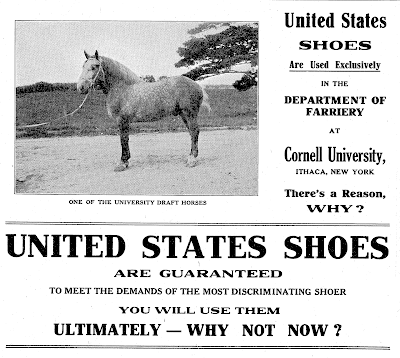 Cornell really did open its doors to farriers for that weekend each year. It was a gift and I hope you were able to benefit from it, in some way, while it lasted. I know I did, in a big way.